Previously, we already knew that pre-orders were available for the Pre 2 through HP’s web site with an expected ship date of February 17th, but now Big Red has officially come out on the matter regarding the latest webOS powered smartphone. Starting on February 17th, you can head on over to any of your local Verizon Wireless locations and pick up a Pre 2 for the on-contract price of $149.99 after a $50 mail-in-rebate. Interestingly enough, Verizon’s pricing is still a $50 increase over the $99.99 that HP is asking for through their website. So if you really care about the savings, it’s best to pick one up through HP, other than that, you can stroll into any of Big Red’s stores in a couple of days to pick up a brand spanking new Pre 2. 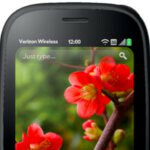 As much as we’re all yearning for those next generation webOS smartphones, this is the next best thing over the last generation webOS devices that are still lingering around. I wonder how long before the Pre 2 gets pushed aside to make way for the CDMA WP7 phones (not to mention the Pre 3 if it is going to be available in a CDMA edition)? It sure looks like the Pre is going to be one of those footnotes in the history of the evolution of smartphones. its so sad. they had an amazing piece of hardware and arguably the best OS and flew them both straight into the ground. now the 2nd incarnation is coming out at least 6 months too late and they are still charging too much for it. it even looks like the 3rd incarnation will be too little too late. they should just give up. signed, a pre plus owner. I hear so much good about these phones- all their owners love 'em, the OS is the best, most magical, so tell me why does it seem so bad everytime they are available? All Palm owners do is talk about the sad demise- even as new ones come out? Scares me off from even looking at one ... afraid it will explode in my hand, tilt the Earth the wrong direction, and spin us all into space. Come on folks, if it is a good product, let HP have their chance. Depeche- I think Sprint would be a perfect place for the new Pre- they need a new hook device, and HP needs someone who will stand behind this phone and believe in it. Verizon just may not have room for it. I like my Pre plus on Verizon, but it seem like HP is behind in there releases. The new Pre 3 looks great, but it won't be out until summer when all the hype will be the LTE phones and new iPhone. They needed the Pre 3 to release this month, or at least have an LTE phone for this summer. I think the most promising thing they have is the tablet, but who is going to go with a Web OS tablet if they have an Android or iOS phone? They need to make the Web OS tablet communicate with HP computers. That is the only draw I would have for buying that over a honeycomb tablet or iPad. I would love to be able to control a Windows 7 media center PC from a tablet. If they do this, they may then convince people with HP computers, to go with a Web OS tablet and then Web OS phones. Okay, look! WebOS is awesome, we all know it. Maybe the best OS out there. Yes, the Pre 3 could have been LTE, it could have been dual core, it could have had a bigger screen etc. etc. But, LTE is just getting started and so is dual core, so not having those features isn't, in reality, that big of a deal. It's more of a perceived thing than a real thing. 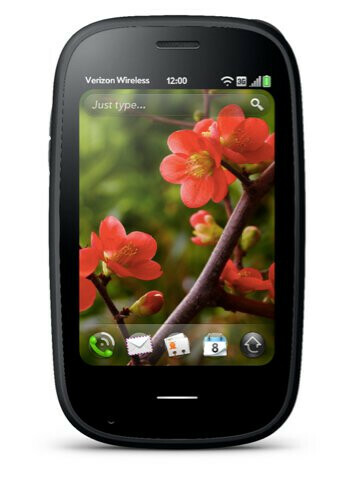 With the Pre 3 you are buying the WebOS experience in a package that will perform just fine. What HP needs to do is explain this to the public in a creative way and they will be fine. how are LTE and dual core processors perceived??? you either have them or you dont. LTE isnt in many markets now, but by summer it will be in close to a hundred markets and by years end a hundred and fifty. dual core is HUGE especially for streaming and online gaming. i guess these are two things that pre owners wont have to worry much about with such a lack luster app selection. and considering we have just been promised quad core by year's end, single core is going to be outdated VERY soon. the big draw back for pre is the lack of development. their market isnt huge, so they dont get the development, but without development, they cant win over the market. if they can get webOS onto tablets, printers, PCs and whatever else, they might have a chance.